I was having breakfast with some gaming chums the other, when a rather interesting question barged into the conversation and plonked itself down at the table. What does your perfect campaign look like? I’ve never run my perfect campaign. In fact, until last week I’d never really thought much about it. After all, the pursuit of perfection is a fool’s errand. Even if you hit your target (which you won’t) the very best thing that can happen is that you are satisfied. That all said, it’s an intriguing question to ponder. With the vast body of options, mythology and games out there it should be possible—even if you can’t actually run it—to describe your perfect game. Since that fateful breakfast, I’ve been pondering this question. Breaking my ankle while our running (my own fault) has “luckily” given me some extra time to think. Core Rulebook Only: I don’t need tons of options to have fun or to run a good game. I know this is where I lose a lot of people—shiny, new options are cool—but this is my perfect list not yours. I’d go 95% core, with the caveat that I would introduce certain options that made sense to the campaign and the adventures. Low Magic: Magic is an integral part of Pathfinder and I love having it in my games. However, I hate the “Christmas Tree Effect” and magic shops with the burning passion of a thousand fiery suns. In my perfect campaign, I would radically alter the crafting rules—probably reverting to a quasi-1st edition solution—to reduce the over-reliance on magic items. (Perhaps I should blog about that!) I’d still include magic items (of course) but more of them would have their own back stories, flavour and atypical abilities. Slow Advancement: I love the slow advancement track and including it in my perfect campaign is a complete no-brainer. I’ve previously blogged about why I love the slow advancement track, but in a nutshell I like the pace of the game it promotes and the PCs’ slower development. Characters with Character: In a truly awesome campaign, the PCs would be more than just a collection of stats and magic items. They’d have backgrounds, personalities, hopes and dreams. They’d have successes and failure and would live in our memories for years. They would not be disposable and their personalities and priorities would drive the action. *I’d also happily have a go at a 2nd-edition campaign, but that would require more thought as my 2nd ed skills are “somewhat” rusty. So with the mechanical side of things out of the way, where would I set this mythical campaign? Obviously—if you know me at all—you’ll know that Greyhawk would be very high up on my list of places to set my perfect campaign. That said, I’ve recently written my own megadungeon, Gloamhold, (well the 40-page introduction to the megadungeon) and I’d love to set a campaign there. I think megadungeon play has a lot going for it. Conan Meets Cthulhu: I’m a sucker for pulp fiction; Howard and Lovecraft are my favourite genre authors. I love the world Howard created and I also loved the deep history and cosmic dread running through Lovecraft’s. And, of course, everything is better with tentacles. Sandbox Style: I like it when players get to make their own meaningful choices to influence the campaign trajectory. That said, I think a sandbox needs boundaries. Limitless choice is rather difficult to prepare for, and just leads to a confused mess or a total lack of focus. It can also lead to choice paralysis among the players. A megadungeon and attendant city such as Languard (along with its hinterland) provide the perfect balance between choice and restriction. Mix of Challenges: I love dungeon exploration, but sometimes it’s good to have a change of pace. I’d like events in Gloamhold to feed into adventures in the nearby city of Languard (and its surrounds). Obviously, I’d also like the reverse to be true. And that’s pretty much it. I could waffle on about various points of minutia, but essentially the above represents the bare bones of my perfect campaign. I’ve got one final, crucial point to make. Everything above is completely irrelevant if I don’t have players who are excited to play in such a campaign. There would be absolutely no point trying to run this game if my players weren’t invested. Given this is my perfect campaign, and I’d, therefore, run it for a very long time, everyone would have to be excited beyond all reason to actually play in it. If I get lucky, in a couple of years once we’ve finished our Shattered Star campaign I may even get to run my perfect campaign as by and large my group’s proclivities somewhat match my own. So that’s a look at what I think my perfect campaign would be like. Will you show me yours? Leave a comment below! Definitely characters with characters. I have a couple of players that enjoy plotting out there characters level by level, from 1 to 20. That so isn’t me. Characters, in my mind, are organic. they grow according to what happens to them. Say oi create a barbarian who then encounters a kindly old wizard that saves him and helps him. It is entirely reasonable to think that the barbarian might want to learn about magic…..
Sandboxy. Absolutely. I like having players that seek their own adventure rather than wait for the GM to put an adventure down in front of them. But that isn’t for everyone. I once had a group of players complain that i gave them too many choices. SMH. I like high fantasy, like the Kregan books by Alan Burt Akers (that was Ken Bulmer’s penname. he was a German author). I like exploration, so exploring a lost city would be my setting of choice — very Tarzan and the Lost City of Opar-like. Lovecraftian themes would be very cool. Maybe some mad science thrown in for spice — but lot too much — lasers and fireballs aren’t my cup of tea. I like intrigue too, so definitely some of that — secret cults, secrets, detective work… all that makes for an interesting setting. My ideal campaign would admittedly be very different from yours, which is of course fine. If I can have it in my campaign, I love frankly stupid amounts of choice – my setting has or could reasonably include any race from a D&D or Pathfinder book, homebrew of mine or someone else’s design, or 3rd party, so I’d love for my players to pay 3 different types of wolf person, a Tarkatan from Mortal Kombat (if you don’t know what that is, Google or think of Baraka, the ugly dude with the arm blades) and a Mul Half-Dwarf, all with places in my setting of course. I think I run straight in the middle of light-hearted goofy campaigns and serious campaigns, but I always ask that my player’s characters have a visible personality, a goal, and a backstory – I don’t require 2 pages of homework from them from the start but they should have something to jump off of if they later decide, “Oh, my priestess of the Goddess of Heroes died and was resurrected once and knows that there’s a war in Heaven.” My games, through all the killing and adventure are driven primarily through players. Sandbox, gotta say. Always my preferred method of DMing. I agree that, even if there IS a whole planet to explore, it’s best if the players generally stick to the agreed-upon region – in an upcoming game hopefully this’ll be a city a bit like Mos Eisley with a corrupt Lord serving as the ruler of it as a colony, with wilderness surrounding and plenty of thing to happen, but again, in my games the main quests so to speak are those of the PCs backstories. High fantasy also. I mean, when there’s 4 different types of dark elf, pug people, Wild West Mexico ruled by a corrupt elven president, Rasputin and Anastasia knock-offs, and the bestest wizard in all the world forever and ever teleporting to other realities frequently, it’s not the most grounded thing ever lol. I think you are right–your’s is very different! But that doesn’t matter as long as everyone is having fun. (and kudos for mentioning muls–that took me right back to my college days). Oh wow! What a fun post. I am going to start out with my view as a DM. -For my games I use what I call an “expanded” rule set. I have a list of races that exist on my world. But beyond that most of the players are starting off with the core book. As the DM however I reserve the right to grab and introduce anything cool from a past edition of D&D. -Slow advancement is cool in my book. -For player backgrounds, I would like to include at least the character sheets from the game Prime Time Adventures. (There are a few more things I looked up on the subject of improving role side of role playing that I would want to at least look up again.) I am still trying to figure out how to incorporate the mechanics from PTA into a Pathfinder game. Maybe I am overthinking it though. For the campaign. I have a campaign world. and I think the original campaign I was ‘creating’ for it is what I will talk about here. There is multiple eras of history for this world. The players are playing in the 4th age. The players are given an open sand box area to play in. However as time and adventures pass they begin to discover clues that an army is secretly amassing. They are sent to aid a border kingdom. When if falls, they find themselves at the hands of medusa. As a result they travel through time the hard way. Waking up in the 5th age. A world of steampunk and guns greets them. It ends with the players going through a modified Temple of Elemental Evil. 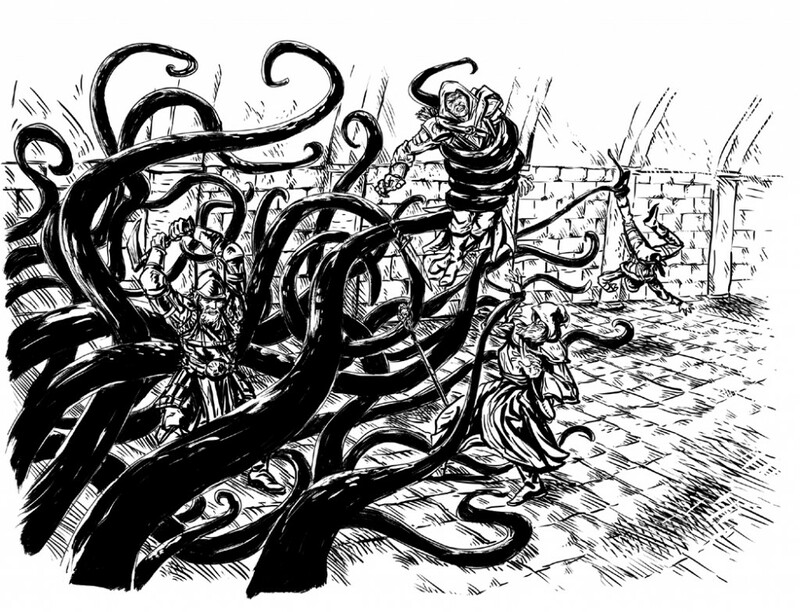 (The results of which set the stage for events in The Shackled City Adventure Path and Return to the Temple of Elemental Evil.) If the players seek it out, they can find the means with which to return to their original time. But they have to think about searching for it. Now, that said, my view from the player side. One thing I would like to stress is that there is down time between adventures. In the perfect campaign there is time between adventures for our characters to attempt to climb the social ladder, woo the attractive woman down the street, or invest in a business. Eventually my wizard might even create or aquire an off plane realm. I love your idea of downtime between adventures. I wish I’d thought to add it into my list! My perfect campaign is nearly identical to yours. Personally I would prefer outdoor, wilderness adventures with some dungeon delving. Conan and Cthulhu are my jam, also my favorite genre authors, so I would aim for that feeling too. Your ideas on “the Christmas tree effect” resonate with me as well. Magic is awesome and mysterious, and it can be very scary. Too much takes away that awe. I think limiting to the Basic Rules helps cut down on the absurdity of the dozens upon dozens of races and classes that exist now. I’d like a bold band of adventurers carving their way through wild lands and ancient mysteries. Kudos on your taste! I’m currently running three campaigns – a high-fantasy 5e campaign using a map of Earthsea for its foundation, a steampunk 5e campaign set in an AU Victorian world, and a light-hearted pickup ICRPG game using fairy-tale tropes. All three are sandboxes – my players don’t like large dungeons and are partial to journeys and wildernesses and quests and small “dungeons” that can be dealt with in a few sessions, and basically that’s what I’ve run for the past thirty years. So my ideal game would be, I think, something like Mercedes Lackey’s 500 Kingdoms world, drawing on the massive amount of fairy tales and folklore from around the world. They could start out as wandering adventurers who just “happen” to keep running into certain types of scenarios, eventually finding out about the Tradition – the set of fairy tale rules – that enforces these patterns. In the mid-game they’d be recruited by Sages or Godmothers to deal with major problems (Godmothers, however powerful, can’t be everywhere at once and are restricted by the need to work within the Tradition). Ultimately they might become Godmothers or Champions themselves, possibly defending their world from an incursion from a world that runs by a very different set of rules (maybe Cthulian, maybe something steampunk-ish – I haven’t thought that far ahead. I’ve been running my “perfect” campaign with pretty much the same group of 7 every Sunday since 1999. It uses a completely homebrew system written cooperatively by most of my player’s and incorporates what we like about a lot of systems. We just started using version 3 in November. 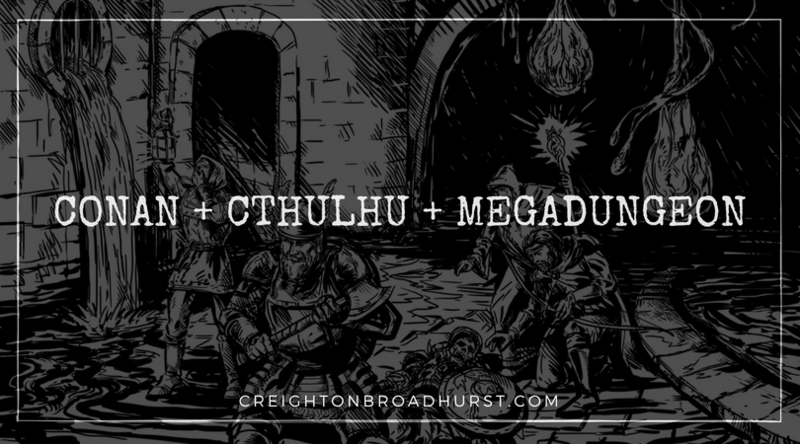 It’s basically a mash up of AD&D, D&D, Dungeon Crawl Classics. It’s actually an internally published setting used by 8 groups at my game shop. Every year we tack on a new overarching theme that expands the world. 2018 will see a return to the 80’s. Some Borderland Keep inspired action as we explore the far far northwest. A region ceded to the Church to bring order to the uncivilized frontier. I’ve very jealous. Congrats on the perfect campaign. I hope it runs as long as you want it to! I had this idea where this one family, starting in a prehistoric ice age barbarian setting, hunts vampires and one very specific vampire down thru the ages. I was and still am ready to run this all the way into the 25th century and outer space. I just never managed to get the right group of gamers together to make this happen. Dagnabit!!! My Setting!! I’m borrowing liberally from The Atlantis Second Age setting by Morrican Press. It’s pre-apocalyptic (i.e., before the Second Cataclysm which is final sinking of Atlantis and ushers in the Age of Conan). Interestingly enough both Lord of the Rings and Conan include Atlantis on their maps or in their history. So pre-history to the Atlantis Second Age setting is a Middle Earth setting which roughly corresponds to earth maps where Mordor and Mount Doom are in/around Romania and the Shire being south-west of England (look up Tolkien’s Middle Earth Mapped to Europe). I’ll note that there’s an excellent pre-Age of Conan comic (Red Sonja or Conan series) that tells the story long before the sinking of Atlantis about the arrival of Cthulhu and many of the Krull and Conan stories feature bits and pieces of the Cthulhu mythos. So I’ve basically used the Atlantis Second Age as a base and then added the elves of the cedar forests of what is modern day Syria, the dark skinned dwarves of Punt (modern day mountain ranges of Ethiopia) and the dwarves of Ophir (mountain range of Yemen and South West Saudi Arabia), the dark skinned halflings of Central Africa, Australia (Mu), etc. It’s a little bit higher fantasy, in that there are many different races incorporated and the magic is Pathfinder setting basic. But slow advancement, character backgrounds, setting exploration, sandbox and use of real world locations with a fantasy twist are all elements. I mainly use Ice Age based animals/megafauna for wildlife encounters, some dinosaurs (covered in fluffy feathers not scales), and Aberrations. Cults and demon worshiping organizations are almost more prevalent that benevolent deity based ones. Magic is low, so low that Wizards are not allowed (the banhammer is strong with this one), only Sorcerors, Warlocks and similar casters like those. Clerics and Druids are unaffected by this change. High magic races are also different, as I provide some moderate changes to them to reflect the lower magic, there are also many additional subraces of Human that are much more common than the non human races in general as well. Cultists make a common appearance, slaver organizations, etc. . . Strong central governments seem ‘far off’ even when you have just barely left the city, with few exceptions. I also prefer a slow advancement track for leveling. I also prefer starting at level 1, building up characters from the ground up feels more organic. The Post Apocolyptic aspects of the setting come from the numerous civilizations that come before the current aspects of the world, the many hundreds of thousands of ruins that dot the landscape, the world itself is basically a giant megadungeon.